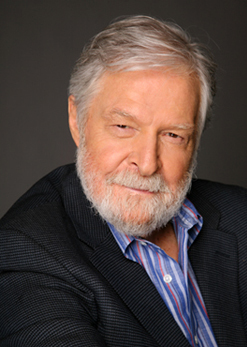 Hearing the compositions and arrangements of Bill Holman up close and live has to be identified as one of the finest contemporary jazz experiences. The performance of Holman's music by a band of L.A.'s A-list players before a packed house audience at Vitello's Friday night offered solid evidence of Holman's unique creative skills. Like Fletcher Henderson, Duke Ellington, Billy Strayhorn, Sy Oliver and Gil Evans before him, he has found strikingly new aural resources of timbre, structure, rhythm and emotion in the instrumentation of the big jazz band. Start with his interpretations of a pair of Lennon & McCartney tunes: "Norwegian Wood" and "A Day in the Life." The first has been previously subjected to jazz versions, in part because of its modally oriented melody. The second is a little more challenging to view from a jazz perspective. In Holman's hands, the original intentions, as they were manifest in the Beatles' versions, were ever present - sometimes via counterlines, sifting through and around soloists, sometimes by added such colorful timbres as the chaotic traffic sounds of "A Day in the Life." Thelonious Monk's "Bemsha Swing" and "Friday the 13th" were equally linked to their source. Holman's essential style - with its frequent use of contrapuntal passages, its concerto grosso-like employment of different instrumental combinations within the over all sound, and its sudden shifts of dynamics - was a constant here as elsewhere. But Monk was as ever present in these arrangements as Lennon & McCartney were in the charts of their tunes. The sly dissonances, the disjunct rhythms, the unanticipated starts and stops so characteristic of Monk seasoned each tune with startling authenticity. Bebop standards such as "Donna Lee" and "Dizzy Atmosphere," as well as Holman's originals - "Zoot 'n' Al" (a tenor battle special featuring Pete Christlieb and Doug Webb), and "Lightning" - revealed his remarkable ability to apply his special qualities to familiar formats. Much credit, of course, goes to his extraordinary band of players, each giving his best to arrangements that made challenging, even virtuosic demands while offering mesmerizing playing opportunities. Aware of their skills, Holman provided the right settings for a series of impressive solo excursions: Tenor saxophonist Christieb in an unusual, 3/4 version of "But Beautiful," trumpeter Ron Stout with a lyrical "If You Could See Me Now," alto saxophonist Bruce Babad in a Charlie Parker-referenced "Lover Man" and baritone saxophonist Bob Efford in the whimsically titled "Bary Me Not." Call it a compositional and orchestrational tour de force by a talent with a seemingly limitless supply of technical facility, musical imagination and intuitive creativity. 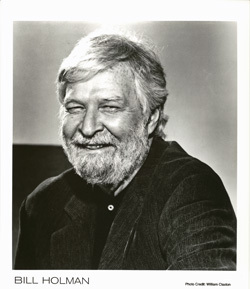 Bill Holman is that rarest of jazz entities - a true original. His music should be heard at every available opportunity.